Please call ahead before driving a distance so we can make arrangements to get as many stores as possible open for you. Thursday March 8, we had Nebraska Antique customers from Lincoln. Despite all the contact numbers listed on this website, No One knew we would have visitors from as far away as Lincoln. Two store owners were out of town doctoring 90 minutes away, another store owner was home with a sick child and unable to obtain a babysitter on short notice, three store owners were attending the Chamber of Commerce meeting, one store owner was in Colorado, one store owner was substitute teaching for Sargent Public Schools and the last store owner although open Mon. Tues, Wed. and Fri. is always closed Thursday which is posted on her store page. No One was available. Every One felt bad as had Some One been aware we would have made arrangements. Please Please call and let one of us know you would like to shop. Nebraska Antiques is on Winter hours, please call the store of your choice or contact us @SargentAntiques on facebook. The phone numbers for EARTHJUNK – ABBOTT ANTIQUES 402-350-6740 or 303-907-0793 are answered 12 hours a day by a live person 8AM TO 8PM CST or text one of these numbers anytime. Our beepers are turned off 10PM to 7AM nightly. We start returning phone calls at 8AM. Or you may call any store listed. The contact phone numbers are in the bottom section on each individual business page. You may call anyone of your choice. Please call someone so they can spring into action and make arrangements for you. Sargent is a very small town. The gas station and the grocery store stay busy all day long. However, the antique stores often do not have one customer all day long or do not sell enough to afford the utility bills. 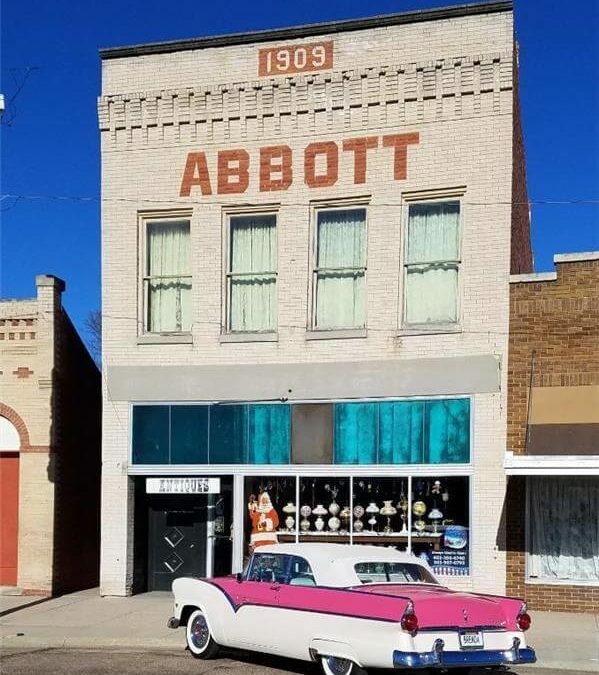 The antique store owners are busy renovating other buildings, taking senior parents or themselves to the doctor, babysitting children, decorating the local church, or making a living at second or even third job. Most of us like being busy. For this author, sitting and hoping a customer will come in does not qualify as a productive use of time. Life is short, and I am the queen of projects/renovation. To accomplish my goals, I must pay my bills with my other self-employed work – which I can quickly stop for any customer that arrives in Sargent. If I am in Sargent, I love to open for customers as it provides a much needed break from the rigorous schedule my other job requires. In fact, all of us love to open for customers, so please call any one of us so we can make arrangements with the rest of the team. I would love to come sometime when you are open. Weekends would be best, but if sometime during the week works best, I’m in. I live in Seward, NE so it is a bit of a drive. I would try to get others that like antiques to come with me to make it worth the trip. Are you open on the Junk Jaunt weekend? I’ve done that the last couple of years, but didn’t know about Sargent. Saw story about it on 10/11 news this morning. We had customers every Saturday in January but the stores are rather cold now. We open anytime someone calls, it takes 5 minutes or less for us to drive over. Appointments are best, because some days we are both out of town, either emptying an estate or doctoring!